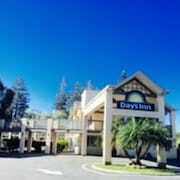 With a stay at Best Western Plus Executive Suites in Redwood City, you'll be close to Woodside Central Shopping Center and Stanford Shopping Center. 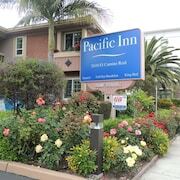 This hotel is within close proximity of Menlo College and United States Geological Survey. Make yourself at home in one of the 29 air-conditioned rooms featuring refrigerators and microwaves. Complimentary wired and wireless Internet access keeps you connected, and cable programming provides entertainment. Private bathrooms with shower/tub combinations feature complimentary toiletries and hair dryers. Conveniences include desks and complimentary newspapers, and housekeeping is provided daily. 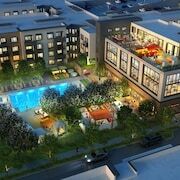 Be sure to enjoy recreational amenities, including a spa tub, a sauna, and a 24-hour fitness center.